I often get asked to speak on Social Media and can I tell you a secret? It makes me mad. Like angry, served with a side of “What am I even doing with my life?”. I don’t want to perpetuate what is already a toxic part of our worlds. I don’t want to add my opinion to the flurry of noise. I breathe in deeply and I remember the power of story. Your story, my story, and our story together. Are you addicted to scrolling? Are you motivated by what other people think of you? Are you struggling to find a sense of purpose in a season of transition? This year I am choosing to chase dreams not platforms. I am allowing myself to dream again in a way that is bold and courageous, allowing opportunity finding me waiting, rather than bashing down the doors of platforms that seem so enticing by are just chasing the wind. We live in an age of platform building. Grandstanding, shouting our agendas from behind our keyboards and then feeling frustrated when the connection feels less than real. We live in an age where we believe that a waterfall of money is awaiting the click funnel we have found ourselves down, and just one more thing will be the releasing of our worldwide success. We live in an age of self-made ambition, and in essence, there is sheer beauty in seeing the underdog rise up and find his voice but at the expense of what? 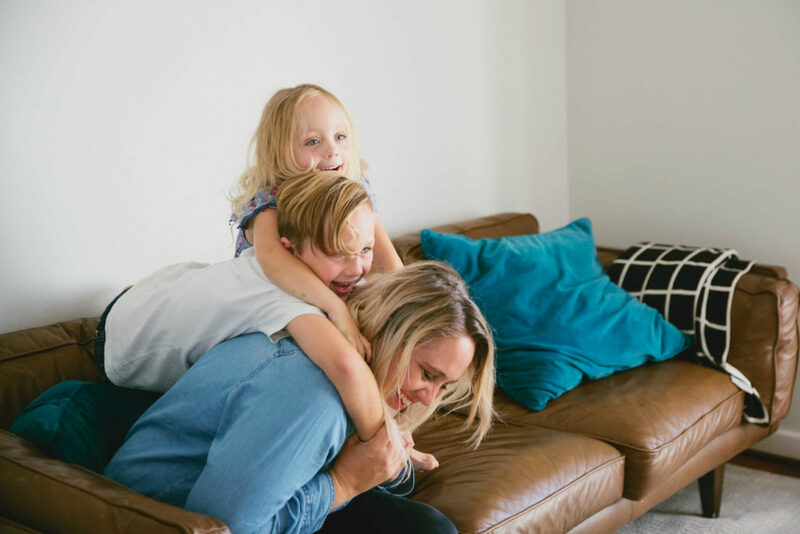 Family, Health, Stress and Mental Health? No thanks. When we focus on the platforms we are building, as a badge of honor for worth and worthiness, then we begin to tumble and fall. When we allow the dreams in our hearts, to bubble like my sourdough starter sitting on my bench, enticing me to let it breathe, grow and produce. We were created to produce my friends, not consume. If we feed the monkey that is the belief that we deserve the rights to have platforms, that we stand and shout our messages from the beast grows. 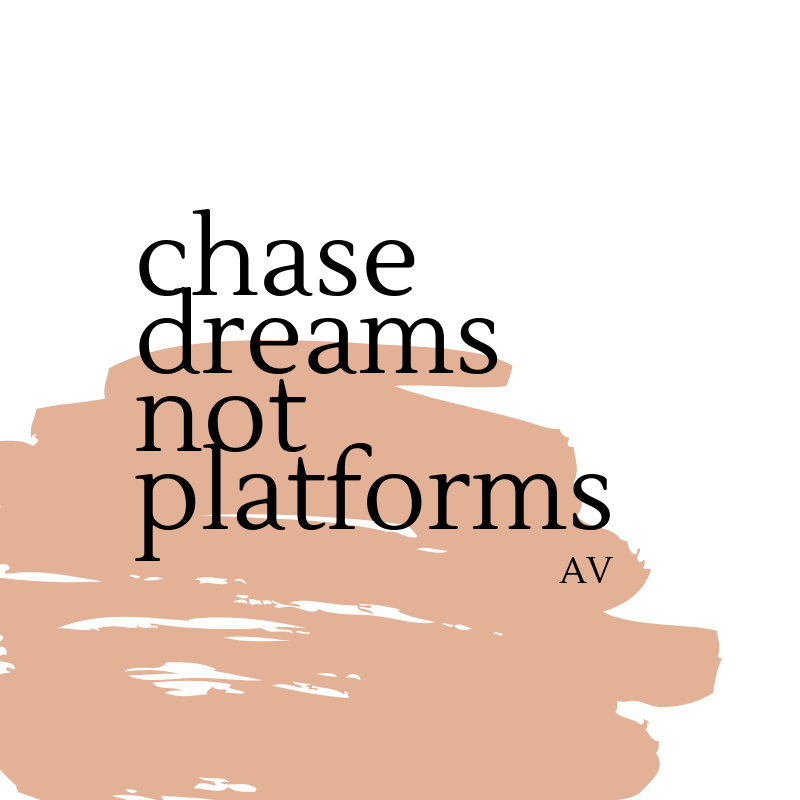 What if we chased dreams in 2019 over platforms? The platforms may come to you, my friend, the opportunity for influence may rise and find us waiting, but this is a by-product of living a life of alignment. This year I wrote a manifesto for my year and each statement I am blogging about here. What do you think about the culture of chasing platforms? Dream on daydreamer and find the courage to seek out the life you dream of, rather than the platform that culture says you deserve. The difference between the two is profound. Sometimes I feel like my focus is swept with the changing winds that come to my everyday. I am trying to breath in my current season which I know is going to be so short and is particularly unique of having two teenagers who prefer their friends/social media over time with us, two smaller kids who love beach adventuring and picking up shells and a very young baby. In the midst though, I have dreams, massive ones even, but even those dreams fall second fiddle to what’s here in my hands right now. And sometimes, I have moments where I yearn for the “more”, for the fulfilling of my calling, and it is hard, but I’m choosing to trust instead. And of course the answer is no, but the emphasis always seems to be on “what is your platform, impact etc” and this even seems to be widely embraced in Christian culture…that unless you have something measurable, then there seems to be a question mark over your value/significance. Some of the best lives have been lived out from drained tea cups and on lumpy cushions in mis-matched living rooms, yet they remain unseen potentially by where we seem to have placed our focus. So no, I’m not into platform building, I’m into loving the one that stands next to me, into finding purpose in the small and unglorified, for it is in these things that I know my true calling lies. And even if it’s not measurable, I know it is where it counts.